Let face it, buying a brand new car — especially top quality luxury cars like Mercedes-Benz, Audi and BMW can be very expensive and unaffordable to most. Since new cars on average tend to depreciate about 30% to 40% within the first three years, it’s fair to say that this presents a great opportunity for shoppers looking to buy their dream cars at tremendously cheap prices. Before hitting the used-car market, you should determine how much you can reasonably afford and then create a target price for yourself. It’s also essential to keep in mind the additional ownership costs, such as fuel, taxes, title, cost of registration, insurance, and maintenance. Reading reviews is one of the easiest ways to find a dealership with a good reputation, and this can help avoid post-sale problems. While no dealership is 100% perfect at pleasing every shopper, if you spot way too many negative reviews, that’s probably a bad signal. In Toronto, Dupont Auto Centre is a great example of a dealership with very high customer reviews. Some issues and defects that may affect the reliability of a car aren’t obvious at first sight. For example, the past maintenance issues, a history of breaking down, and the number of previous owners. That’s why requesting a history report of the car is indispensable. Trusted dealers in Toronto won’t hesitate to provide you with the history report, or the Vehicle Identification Number (VIN), which you can use to get the car’s history report from various websites providing the service for a small fee. You’ll need to take a long test-drive, enough for you to ascertain the condition of the vehicle. You should ensure the brakes are working properly and the car drives smoothly. The seats, as well as steering wheel should be comfortable. Also, pay close attention to rear-view and side mirrors for potential blind spots. Don’t forget to test the brake lights, headlights, and turn indicators to see if they work. A test-drive isn’t enough. For an informed decision, you’ll want your trusted mechanic to inspect the car’s condition. Expect to pay CAD$100 – CAD$250, which is a smart investment, as a mechanic will let you know of any serious issues that might cause you expensive troubles in the future. If the car is not in good condition, dealerships may not allow you to bring a mechanic to conduct the inspection. But just insist on having the inspection done. You stand a better chance of negotiating more effectively and get a lower-than-normal offer on a car that has been on the market for a long period of time. 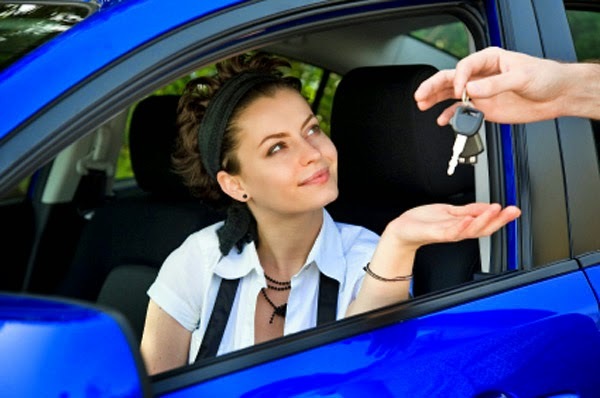 Practically, sellers will list cars hoping to fetch the best prices almost immediately. But if there are no potential buyers after weeks or months, the sellers end up reducing the prices significantly just to make a sale. With so many models available today, determining how much a certain used car is worth can be tough. The good news is that, there are plenty of reliable sites to compare the market prices of the car type you want to buy. Knowing the average market price can save you from paying an unreasonably high price. If you’re a resident of Toronto or another major city, you should have many options. When you’re negotiating the price, it’s advisable to have the seller name the price first. If you name it first, you definitely give the seller an opportunity to increase the price range. Also, make it aware to the salesperson that you’re an informed customer, who is aware of the car’s average market price. Prove it to them by mentioning prices listed on reputable sites. This strategy can get you a good deal. Make sure you carefully review all the documents before signing. A dealership sales contract often lists the cost of the car, license fees, documentation fee, and sales tax. In case of anything unclear, it’s imperative to seek clarification to ensure you’re getting the best deal with no hidden costs.